For several days the news has been full of predictions of a severe winter storm hitting New Zealand, Snow to low levels, gales, high seas ….. the whole 9 yards. 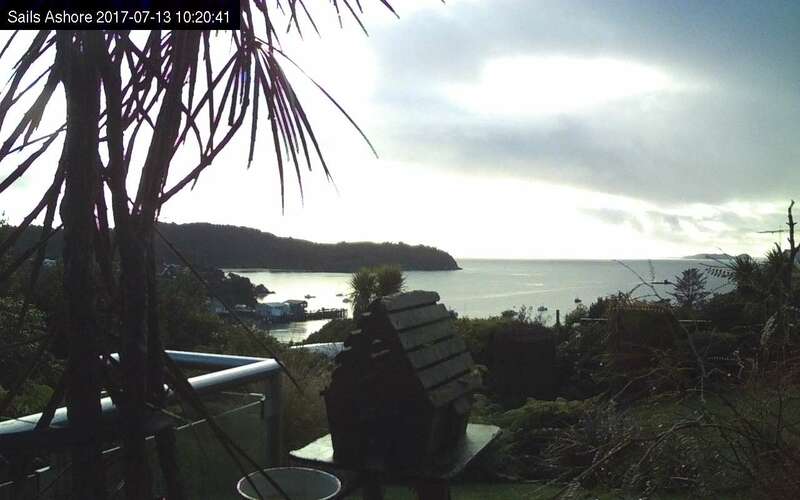 And the weather folk appeared to get it right, except for Stewart Island. Living as we do about as far south without getting your feet wet as it’s possible in this country we get a fair amount of gentle stick about our “miserable” climate. If you ski down to the village, is there a helicopter to get you home? Or do you have the same advantage as Collingwood – not being on weather maps? My reply suggested they look at our web cam, and also the 24 hr time lapse, as unlike the rest of New Zealand … or at least according to the news …. we had wall to wall blue sky, and just a light southerly breeze. And some can be really impressive, but generally our experience is that if the storm warnings are out for all of New Zealand, we’ll generally have just a short spell of bad weather, and then it will be pretty nice. Yesterday was grey and with passing showers, and I spent most (all) of it inside. Wasn’t warm either, with a high of around 6 degrees. Rainfall 3.5 mm and for the three days of the storm just 12.5 mm in total..